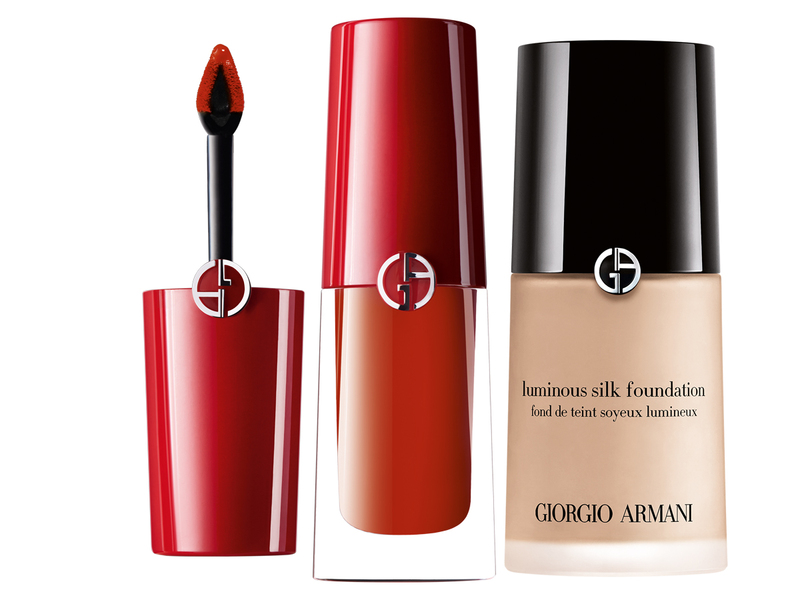 Unless you’ve been living under a rock the past decade, you’ve probably heard of Giorgio Armani Beauty. Its bases and foundations are a particular favourite amongst beauty insiders for its cashmere-like textures and barely there finishes. The brand is widely lauded for its innovative makeup inspired by fabric textures and colour trends, as well as sensory skincare textures, and it finally opened its first store in Singapore at Tangs Plaza two months ago. Here, we share the five products you need to get now (trust us, it wasn’t easy narrowing down the list when there are so many lust-worthy products to choose from). This might be pricey, but it’s definitely worth its price tag. After all, this multitasking gel-cream (SGD590) literally does everything and treats every problem. Infused with Reviscentalis plant extract, which is known for its healing and medicinal benefits, the moisturiser softens wrinkles, boosts firmness, nourishes, lightens dark spots, softens, clarifies the complexion and provides hydration for 24 hours. We’re already obsessed. This sparkling fruity-floral fragrance, whose name means Yes Passion in Italian is an extremely feminine scent. With notes of rose, woody vanilla, pear and blackcurrant, the yummy perfume is the perfect mix of sweet and sultry, fresh and passionate. From SGD175. 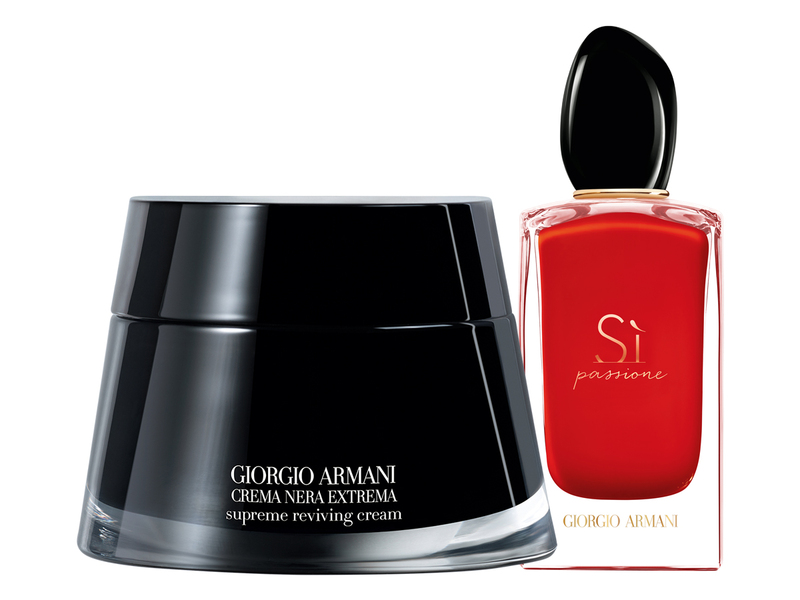 This cult favourite is one of Giorgio Armani Beauty’s oldest products (it first launched in 2000) but is still one of its most popular. With its silky, ultra-fine texture that is able to cover just about every flaw while still giving you a dewy glow, it’s no wonder makeup artists and celebrities alike can’t get enough of it. Available in nine shades, SGD90. This liquid lipstick is made with a mix of water, oils and pigments to create a hydrating formula that doesn’t fade, migrate or dry your puckers. What makes it unique is that despite giving intense, rich colour, its finish is four times thinner than typical liquid lipsticks so you’ll barely feel it on. Try it in the brand’s iconic red shade #400. Available in 18 shades, SGD57 each. 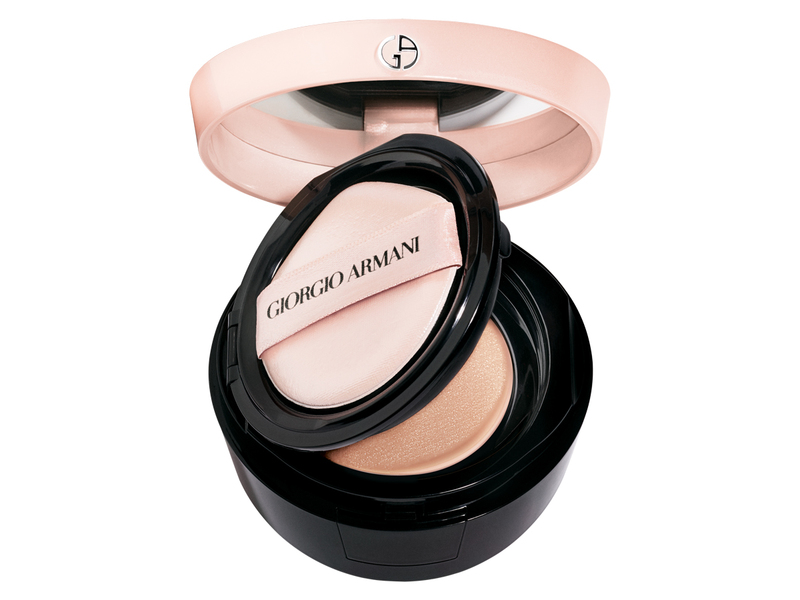 Perfect for the girl-on-the-go, this radiance-boosting lightweight cushion foundation is tailor-made for urban nomads. It’s made with an anti-ageing, anti-pollution formula to fight dullness, dehydration and breakouts, treating your skin even as it evens out and brightens your complexion. Available in six shades, SGD105 each.